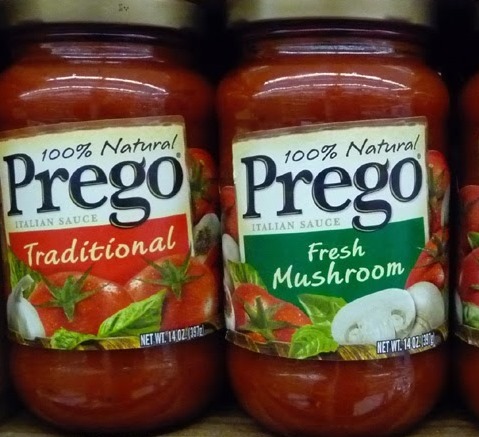 Prego pasta sauces are made from juicy, vine-ripened tomatoes and come in a variety of flavours to satisfy everyone’s taste buds. Deliciously thick and rich, the wholesome homemade flavour is evident in every bite. 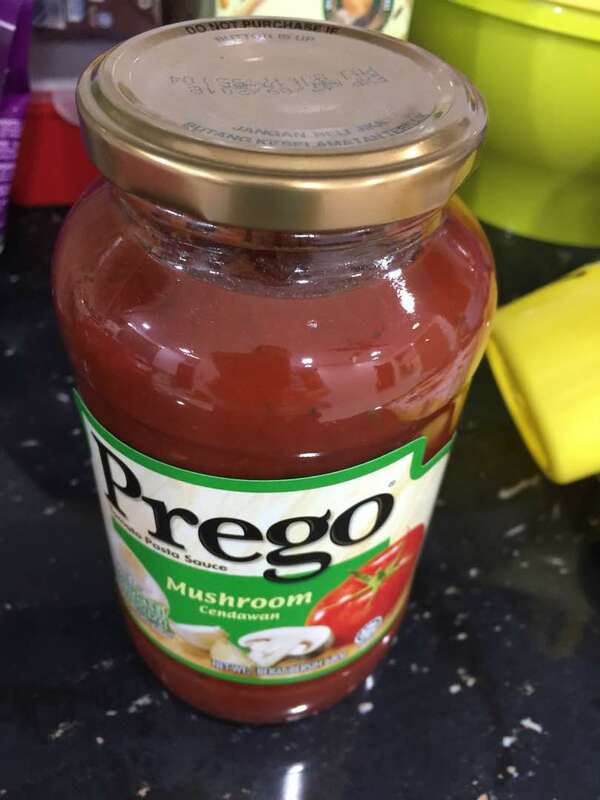 Prego® Pasta Sauce. So full of flavor, you don’t need to add a thing. 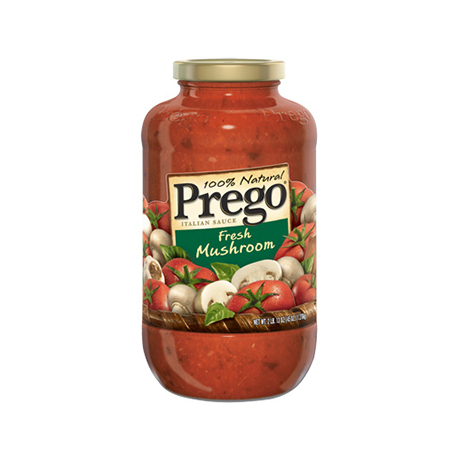 Prego® locks in layers of flavor by gently simmering vine-ripened tomatoes and adding the perfect blend of seasonings like savory oregano, sweet basil and garlic. 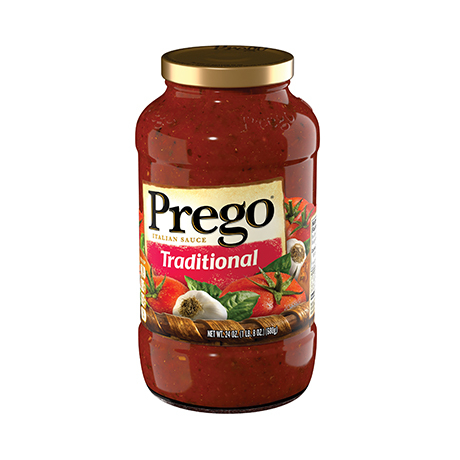 So if you’re short on time or ingredients, or you simply want a pasta sauce that’s perfect right out of the jar, Prego® is for you. 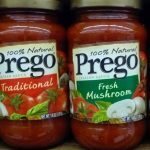 Prego pasta sauces give a fresh twist to a traditional recipe or add a whole new palate of taste to the family’s home cooked meal. 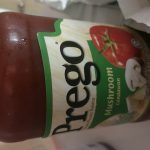 Like all good Italian meals, Prego’s pasta sauces are ideal for family moments, friendship moments and loving moments full of passion and delight! Tomato puree, Diced Tomatoes, Mushrooms, Sugar, Canola Oil, Salt, Spice, Dehydrated Garlic, Dehydrated Onions, Contains Acidity Regulator As Permitted Food Conditioner. 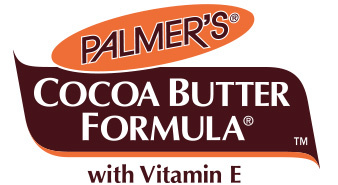 Contains Permitted Flavoring Substance. Authentic flavo and the mushroom added more fragrance to the sauce. I love this over the original one. 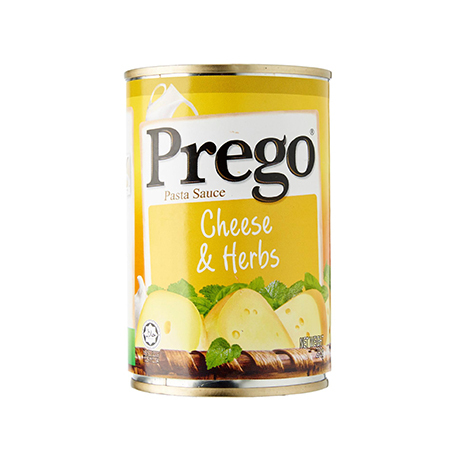 I was once asked by a foreigner what do Prego means? 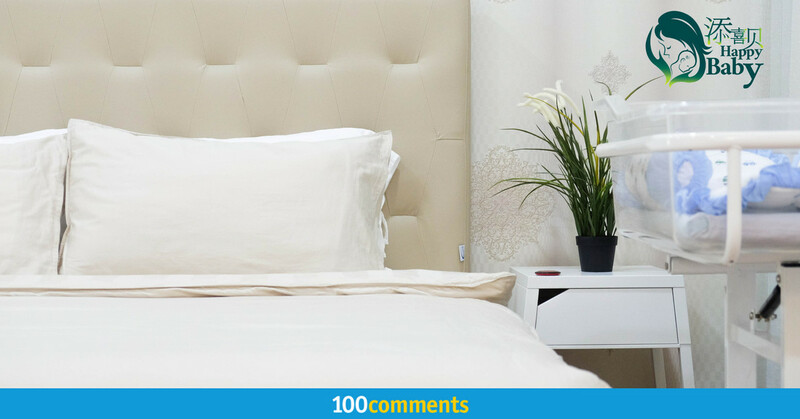 He answered “ You’re welcome”. 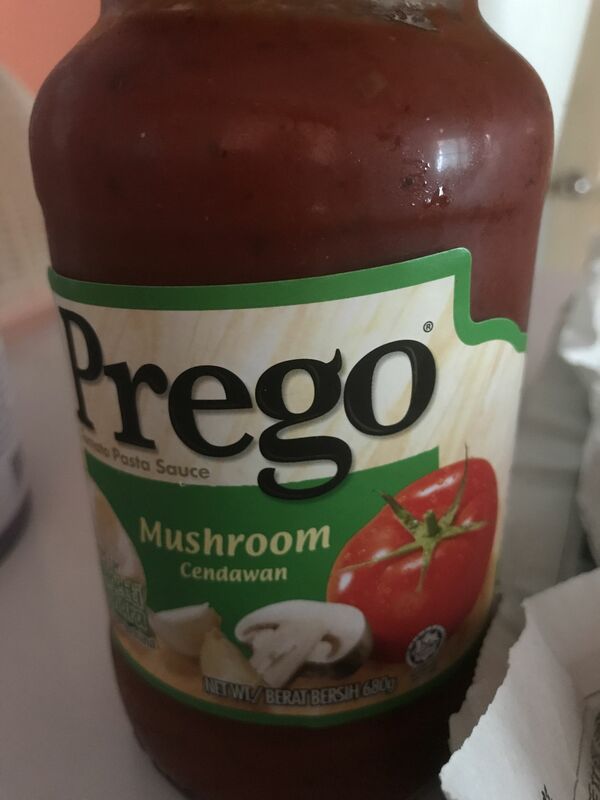 The Prego sauce has been the best sauce of all. 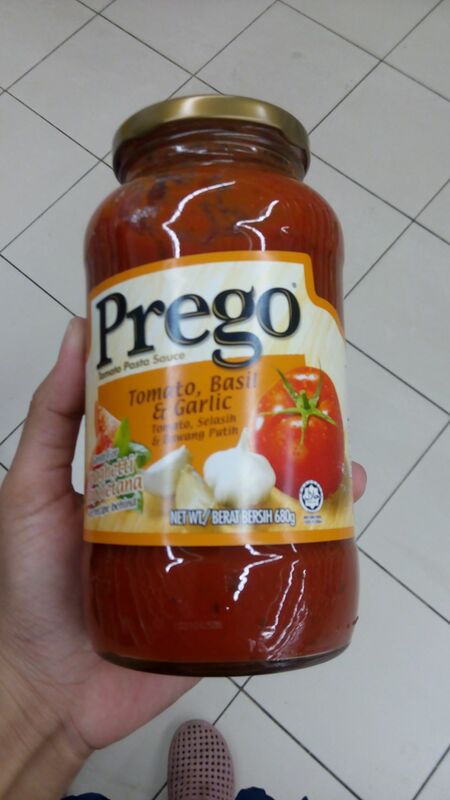 Therefore many people would choose Prego sauce as their choice for cooking the Italian Bolognese spaghetti. The sauce is use with natural ingredients and it gives a nice aroma. 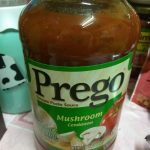 This my to go to spaghetti sauce!! 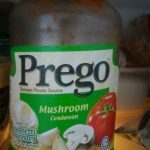 I love that is not like a tomato paste, is chunky and taste great and over all I love that has mushroom. 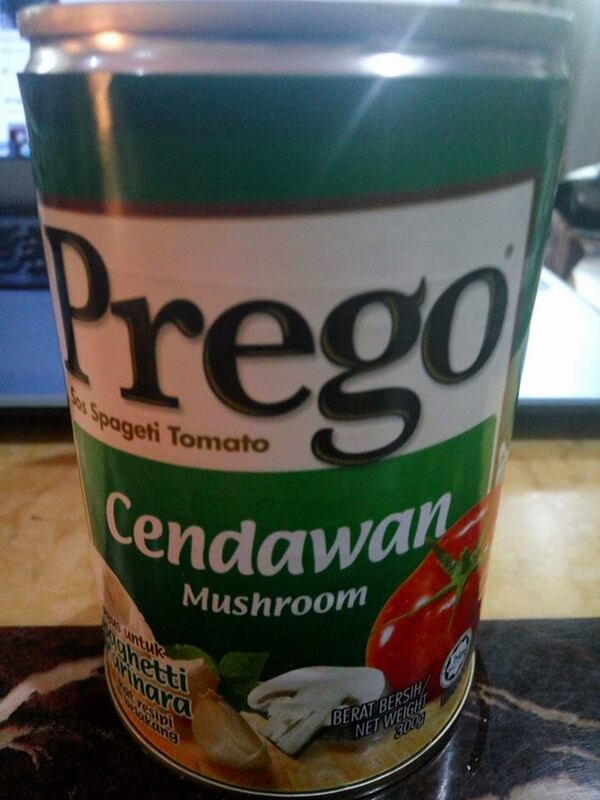 Sy mmg selalu guna jenama Prego utk sos spagetti..selain sedap ia juga bnyk pilihan..ia juga amat mudah disediakn..tp mgkin sos Prego Mushroom lebih sedap brbanding sos ni. 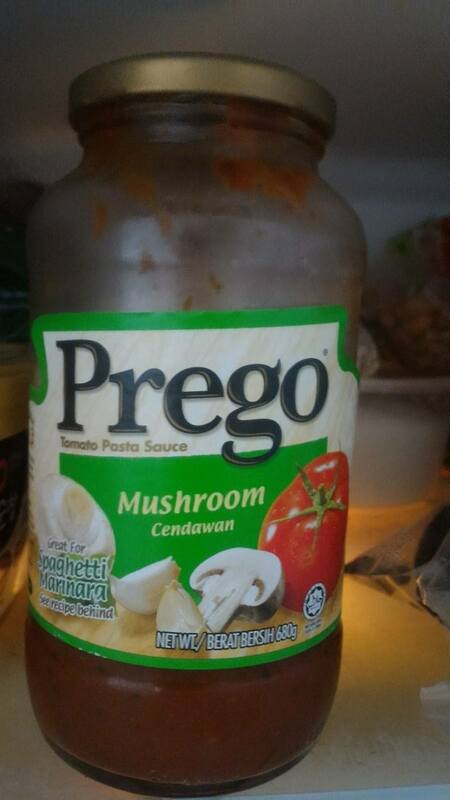 Prego Mushroom Pasta Sauce ni isteri saya pernah beli beberapa kali untuk membuat bolognese sphageti. Tapi bagi saya kurang sesuai dengan citarasa saya kerana agak masam sedikit. 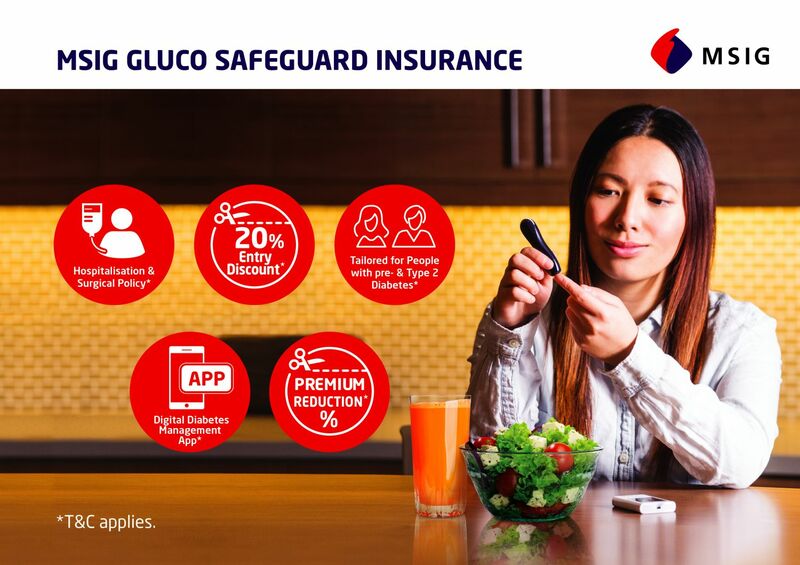 Kalau mereka balance kan rasa masam manis masin pasti lebih sedap. 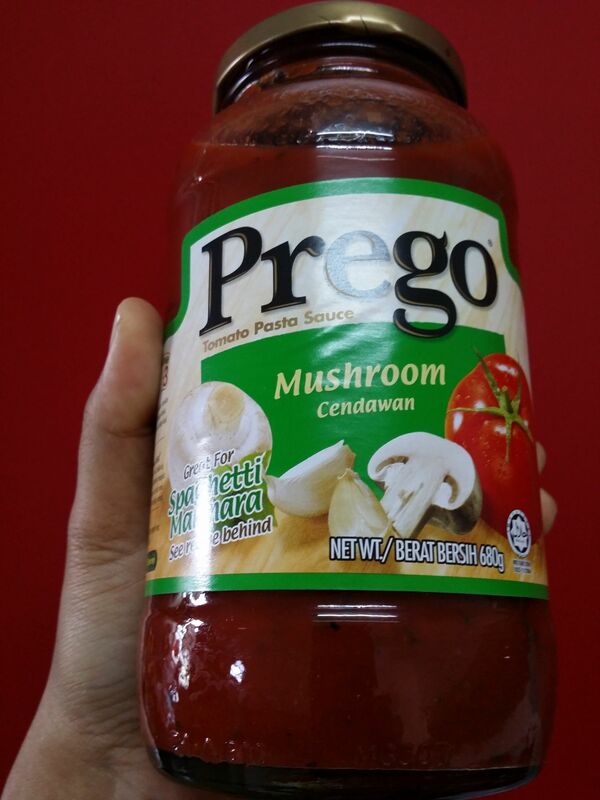 we always like to mix the onion, some fishball and mushroom with this Prego Mushroom Pasta Sauce as our spaghetti sauce. 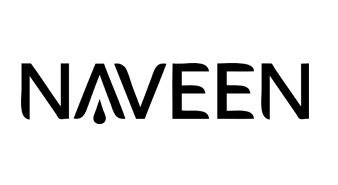 Nice and recommend. 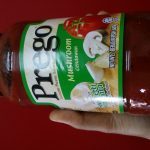 My daughter loves to eat pasta with this Prego pasta sauce. It is easy to prepare, just cook for a while then the pasta is ready. 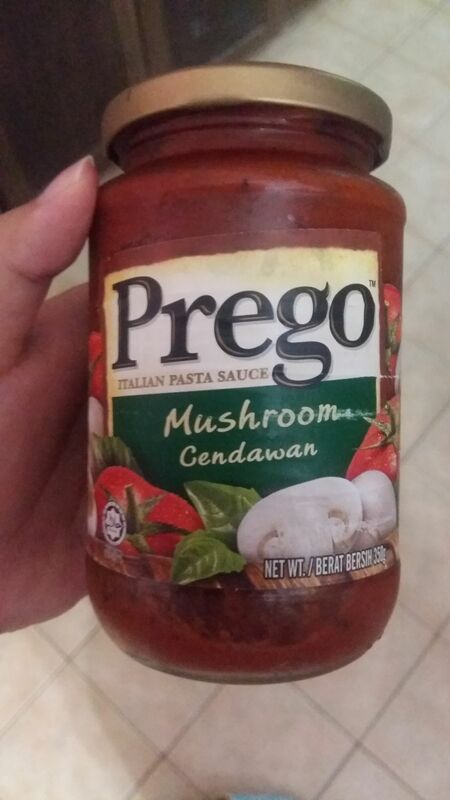 My girl sure eat a lot when she sees pasta with Prego sauce. It is very yummy! 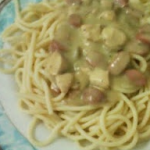 I super like the taste for my carbonara and spaghetti! 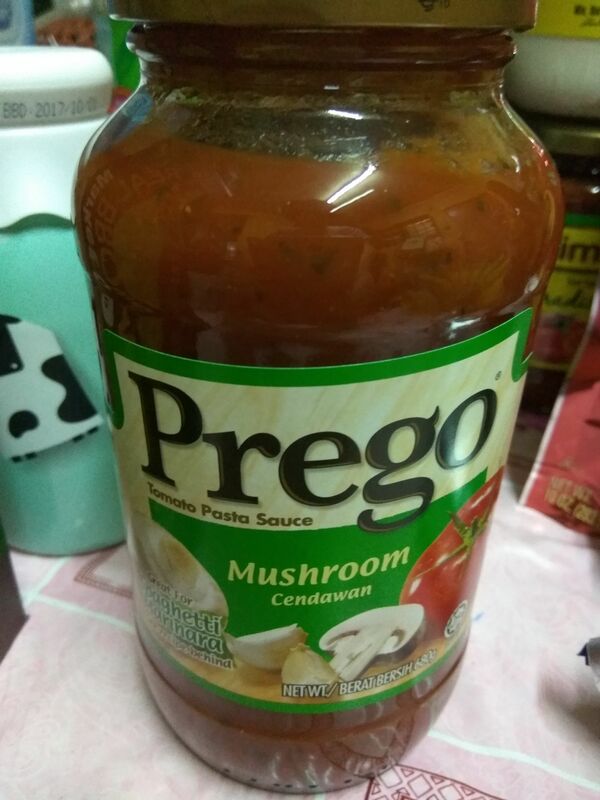 The sauce taste super good, my hubby like to cook me use this paste. 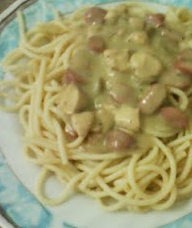 Is so romantic when he serve carbonara or spaghetti as our dinner. 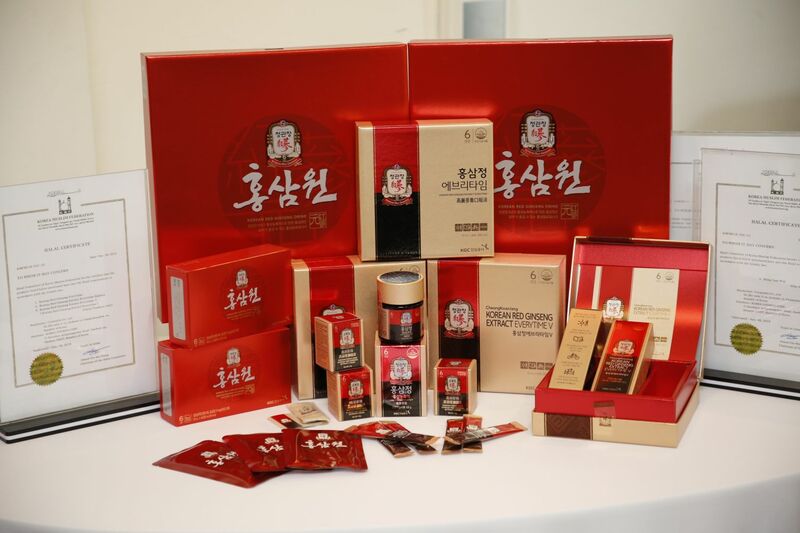 The sauce rich of mushroom taste which we super like it. 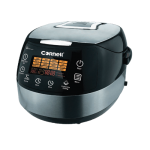 It easy for us to prepare our food. Important things is the taste not too sour just exactly the good taste. 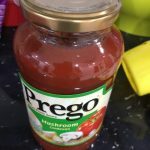 Since spaghetti it easy to prepare, it often make them for lunch, so the prefect sauce to use is prego since it had good taste, easy to get and I lazy to make homemade sauce. Even though it little sour but the additional spice can make it up depending on your liking. 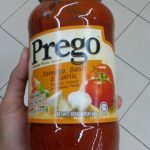 This is my son’s favourite when come to spaghetti sauce. He loves the mushroom taste of it and always will eat till the last drop of the sauce. The price is reasonable as well. 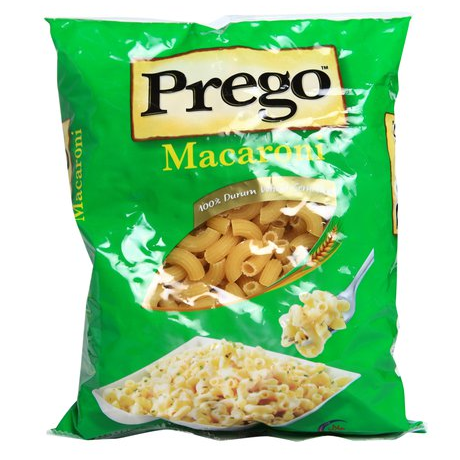 Prego pasta souce help u to serve your pasta in very easy way! It is delicious too, just add in some chicken or fishball will do! 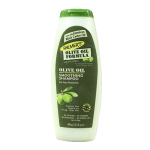 The oil content in this product turns me off a little, however its flavours are lovely especially with what\’s its intended use was for. I particularly liked that the sauce is not made too thick and that it was easy to incorporate more spices and flavours into the sauce to customize it to your own liking. 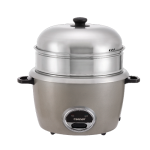 This provides a wholesome base for your dish and allows ample space for you to expand your creativity and add in your additional ingredients like chillies, herbs and more. 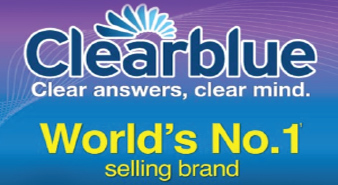 A great product for sure. This is fabulous tomato sauce. Use a natural ingredients in the process. Make my Bolognese Spaghetti taste nice. Not too sour the sauce. Recommend to use when cooking tomato chicken. jenama prego memang jadi kegemaran kami sekeluarga. 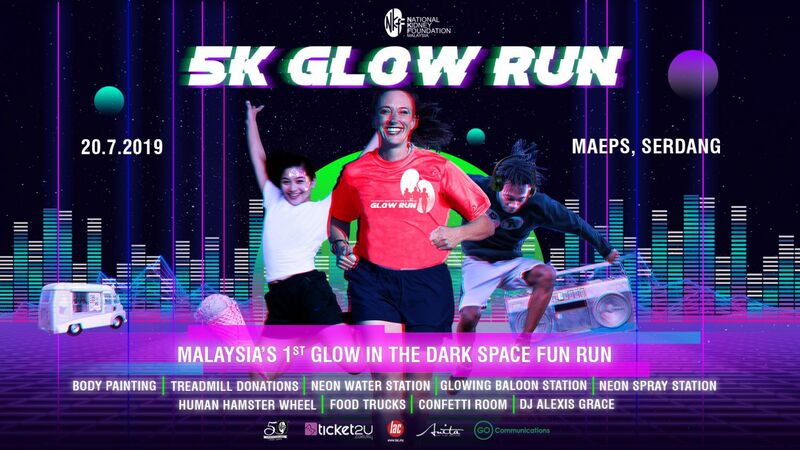 yang paling saya suka ialah perisa mushroom. 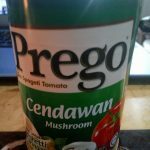 jika makan spagheti memang akan bertambah-tambah lagi-lagi dengan sos prego mushroom. 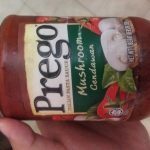 tak perlu menikmati pasta di restoran itali kerana denagn hanya memasak di rumah menggunakan sos prego, rasanya lebih umppphhh daripada makan di restoran mahal. 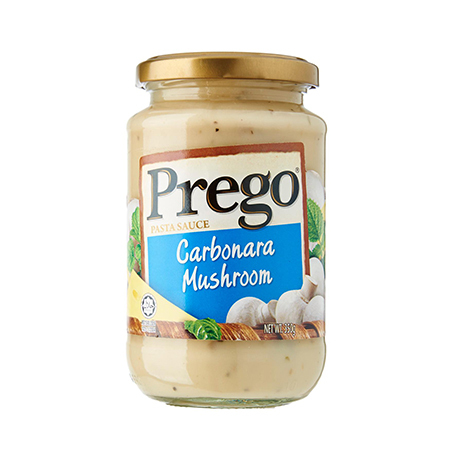 This mushroom sauce can be used in replacement of carbonara sauce if you can’t find carbonara! The sauce is quite rich of mushroom smell but may have a tinge of sourness if used in excess while preparing your pasta sauce.